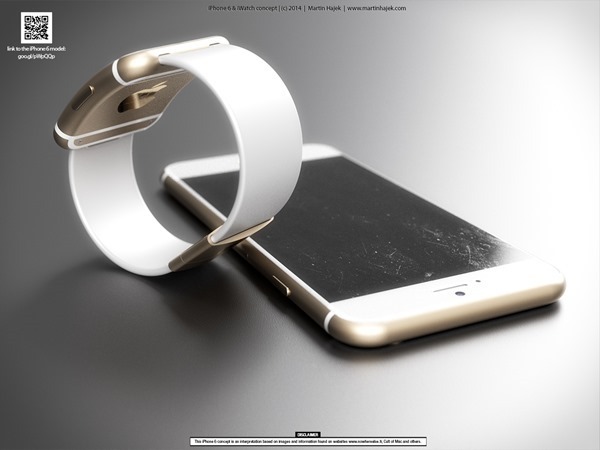 Intelligently-Designed Latest iWatch and iPhone 6 Images! The year seems to be almost ending at least in terms of smartphones as we have seen everything – except for the good old iPhone. 2014 promises to not give us any “good old iPhone” though as Apple is going big and wild with larger screen size and definitely much more. With September 9 being the holy date for “something new” we can’t help sharing some awesome looking iPhone 6 images with iWatch thrown in for good measures too. While the recent reports have indicated that iWatch may not be released this month, but considering a truckload of previous reports, we hope that Apple does finally launch its muchly-awaited smartwatch. So here are amazingly designed and truly hitting-the-mark iWatch and iPhone 6 images to satiate your iOS-tech needs until 9th, the Tuesday! As the launch dates of mega smartphones come near, we start looking at a few realistically designed renders and we have finally got one for the iPhone 6. 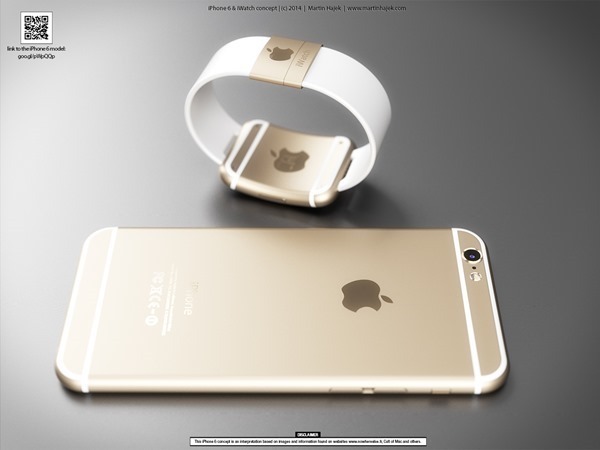 The crazily-popular designer, Martin Hajek, has done an amazing job at creating these renders of iPhone 6 and iWatch. 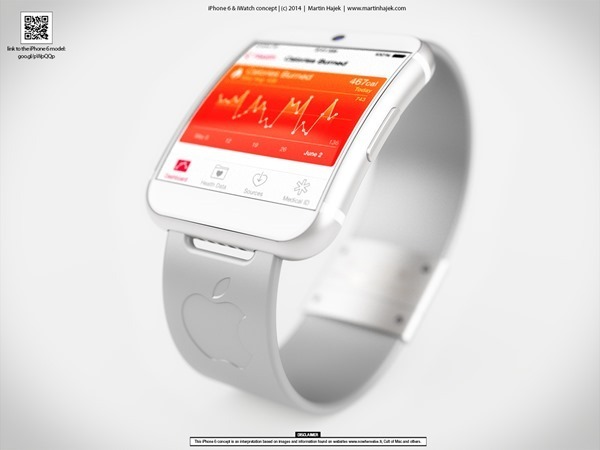 While the internet did have a lot of specs for iPhone 6, it’s almost void for iWatch. 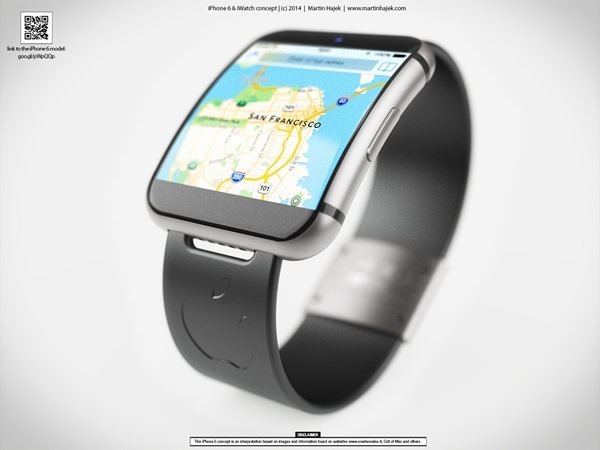 However, Martin’s iWatch design looks quite a possibility! 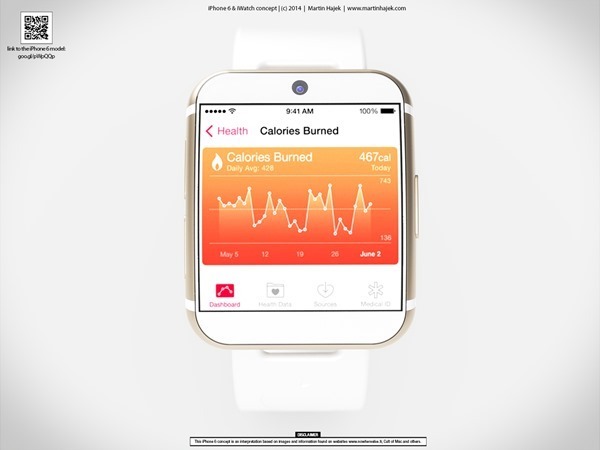 iWatch definitely looks a lot like iPod which is coherent with claims that Apple will stop producing iPod after it launches the smartwatch line. 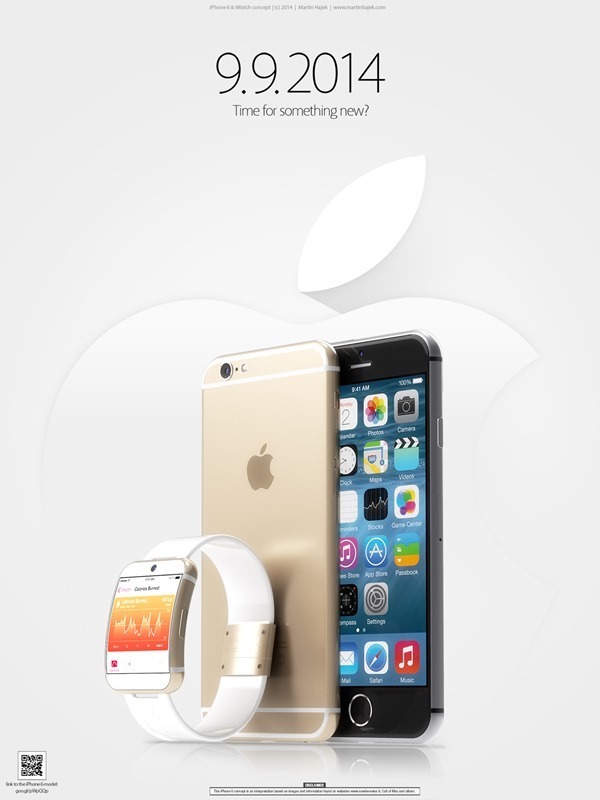 Here are the complete iWatch and iPhone 6 photos designed by Hajek. Let us know what you think of these renders. Apple is officially unveiling its next gen flagship smartphone on September 9. iPhone 6 is expected to showcase a larger, 4.7-inch display with improved camera and sensors. Another variant hitting 5.5-inches is also expected to see a later launch. 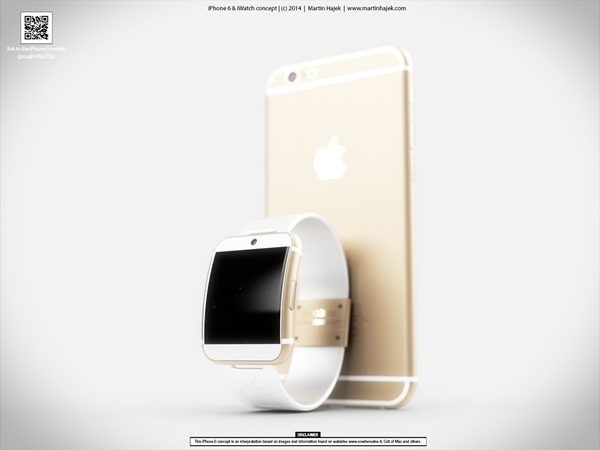 While details about iWatch are scarce, it is rumored that Apple will reveal its first smartwatch in more than two variants possibly launching in different sizes and forms to match varied demands. iPhone 6 will be powered by iOS 8.